– British Colonies in North America, by John Mitchell, 1755, in 8 sheets covering an area 28 deg N to 52 deg N and from 52 deg W to 107 deg W, at a scale of 1 inch to 35 miles, with an inset map of Hudson’s Bay. The assembled map will cover 76 inches wide by 54 inches high. – Virginia, Maryland, part of Pennsilvania, New Jersey and North Carolina, by John Fry and Peter Jefferson, 1775, in 4 sheets at a scale of 1 inch to 10 miles. 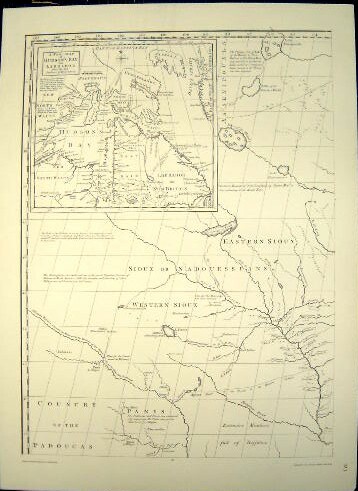 – New York and New Jersey, part of Pennsilvania and Quebec, by Capt. Holland, 1776, in 2 sheets at a scale of 1 inch to 10 miles. – New England by Thomas Jefferys, 1774, in 4 sheets at a scale of 1 inch to 8 miles. – The Hudson River, by Claude Joseph Sauthier, 1776 in one sheet. 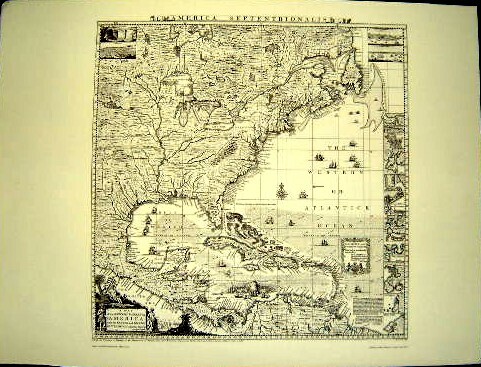 The map is in the form of three vertical strips at a scale of 1 inch to 4 miles.